Automatically limit the time your children spend watching TV or playing video games. Fewer arguments. You will no longer have to keep asking your child to turn off the TV each day. Empowerment. Your children will be able to manage their own TV time, learning budgeting, decision making and prioritizing. Free time. Your children will spend more time playing sports, reading, etc. This will lead to healthier children! Automatic. 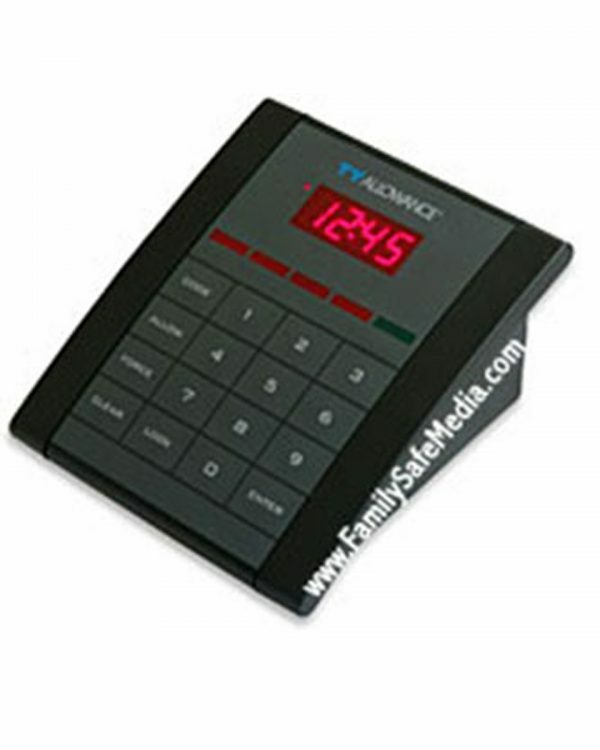 This is the only TV time management solution that will automatically renew the weekly allowance. Please Note: The TV Allowance will only work with TVs that draw at least 50 watts of power. TVs smaller than 32″ in size will need a workaround. The average child spends more time in front of TV than in the classroom. Arguments over TV are frustrating both for parents and children. Academic research has proved that using the TV Allowance improves the grades and fitness of children. The TV Allowance is a device that connects between a television and its supply of electricity. The TV Allowance controls the amount of time the television is allowed to be turned on. Set blackout times to prevent usage during certain time. Set a weekly TV Allowance for up to 6 children. Each child is given a personalized 4-digit code that is entered to access the TV. The parental administration code is used in setup and to use the TV without deducting anyone’s allowance. The TV Allowance may also be used to control computer time by plugging in the computer monitor. As children use up time watching TV, their account is debited. When the TV is shut off, the unit stops deducting time from that child’s account. When all of the time is used up, the TV shuts off and will not turn back on until the beginning of the next week when the allowance is automatically restored. You can optionally set any remaining time to be added to the next week. This way a child can save up time for special occasions. Blackout times can be set to block TV usage during homework or past bedtime hours. A parental override code is available to allow the use of the TV without debiting anyone’s account. Unused time may be rolled over to the next week or eliminated. TV Allowance works by controlling power to the TV or video game console. Plug the TV’s power cord into the bottom of the unit, install three AAA batteries and lock the cover. The battery backup prevents the unit from being reset by unplugging the unit from the wall socket. The locked cover prevents tampering. Flat Panel TV or Monitor Owners Please Note: The TV Allowance will not work properly with a flat panel TV or flat screen computer monitors. Those devices don’t draw enough power for the TV Allowance to recognize that they are turned on. The TV Allowance then turns off thinking that the child has turned off the TV and forgot to logout of the TV Allowance. The workaround is to attach another electrical device like a small lamp to it as well. This will draw enough power for the TVAllowance to work properly. If your not satisfied with TV Allowance, just call us for a return authorization number and ship it back to us within thirty days after delivery for a full refund of the purchase price not including shipping and handling. TV Allowance comes with a one year warranty. When you first get your TV Allowance, sit down with your whole family to explain that this device will allow each child to manage their own TV viewing time. You might want to take out a TV listings guide and ask each child what programs that they need to watch each week, so that you and your child can decide how many hours allowance they should get for each week. If you are using the TV Allowance for your child’s computer monitor, to limit games or online time, then discuss how many hours a week your child needs for these activities. Setup the TV Allowance by plugging your TV (or computer monitor) power cord into the back of the TV Allowance unit, then lock it closed and put the key somewhere safe. You can now follow the simple first time setup instructions to assign a four digit master PIN and a PIN for each child (important: let each child choose their own PIN), as well as inputting the number of hours per week allowed for each child. For TV Allowance support see our TVAllowance support page. TV Allowance really works. Instead of having your children waste away hours a day passively in front of the TV, or spending too much time at the computer, they can start to take charge of a more active life. Your children will read more, and be more active in spending more time playing outside. “I feel better about myself because I can remember what I did yesterday, not just play video games.” Tara, age 15. “This TV program isn’t worth my time.” Moss, age 8. “My dad set up the TV Allowance so that I can save time for a reward. I get fifty dollars if I save up fifty hours.” Cormac, age 8. “I’ve been doing a lot more reading.” Justina, age 16.